ViewNX is a software application that can be used to transfer photographs and videos from Nikon cameras. The application is easy-to-use and can not just transfer photos from your Nikon camera, but also view and edit your photos within ViewNX. 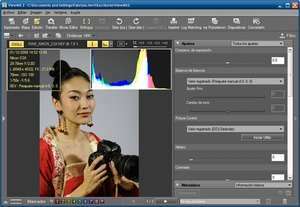 ViewNX supports several image formats including NEF (Nikon RAW), TIFF and JPG images. As for video support, it supports movies created by Nikon cameras like NDF, AVI and MOV. Version 2.10.3 is a freeware program which does not have restrictions and it's free so it doesn't cost anything. For security reasons, you should also check out the ViewNX download at LO4D.com which includes virus and malware tests. Additional screenshots of this application download may be available, too. ViewNX download been highly rated by our users.